The wait is over! Say hello to the juiciest leggings your body has ever seen! Description: A high waist classic legging that's engineered to lift, sculpt, contour and smooth. Moisture-wicking. This legging has a four way stretch that will hug your curves the write way! Model is wearing size Medium. 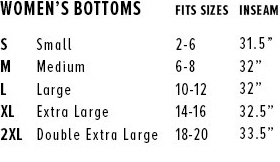 Please see size chart below for further assistance.